Even if you’re across the pond you’ll have been hearing and seeing a lot about palm oil this week. My Facebook feed is full of it and the shock that’s been caused by a recently banned TV advert. Because you’re interested in soap making I feel that we need to talk about the issue. Palm oil is HUGE in soap making and the vast majority of recipes call for it. Many soap makers, including myself, have chosen to boycott palm oil in our products because of the environmental damage it’s doing. Today I learned of an argument that avoiding palm oil in soap making could make things worse. Before your blood boils over, hang in there while I explain. Most people in the west eat palm oil daily without even knowing it. It’s used in virtually every type of processed food that you can think of. Not just ready meals either, but things like cookies, crackers, spreads, Crisco, and gravy granules. 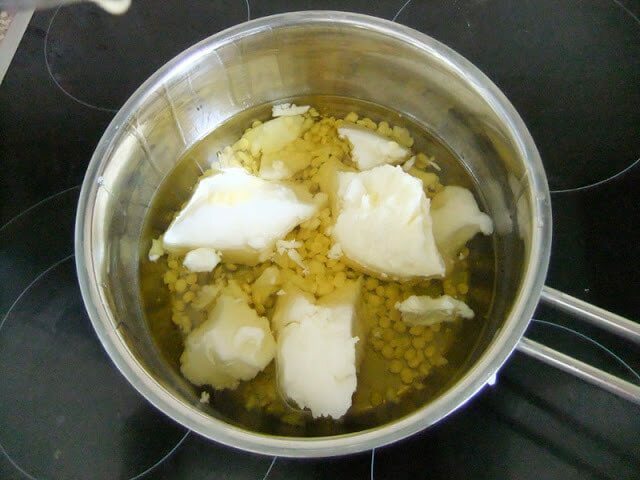 It’s also used in beauty products including soap. Palm oil is one of the most widely used oils because it’s cheap to grow and is amazingly versatile. It also only grows in tropical regions which is why rain forests are leveled in order to grow it. 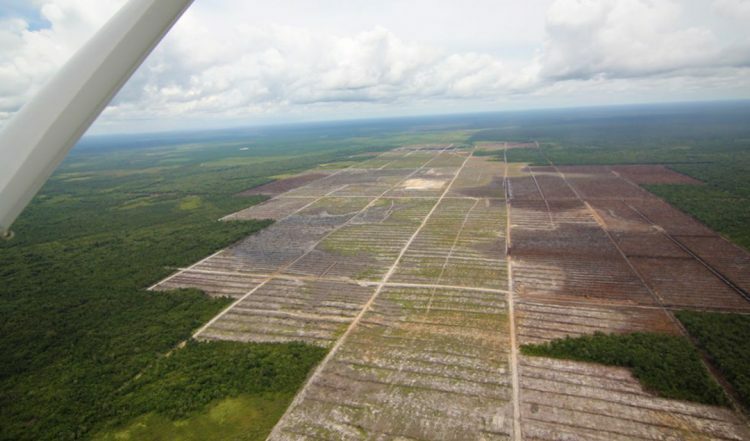 Palm oil plantations now take up 27 million hectares of land — an area the size of New Zealand. That is an astonishing amount of palm oil being produced and all of it is very much in demand. 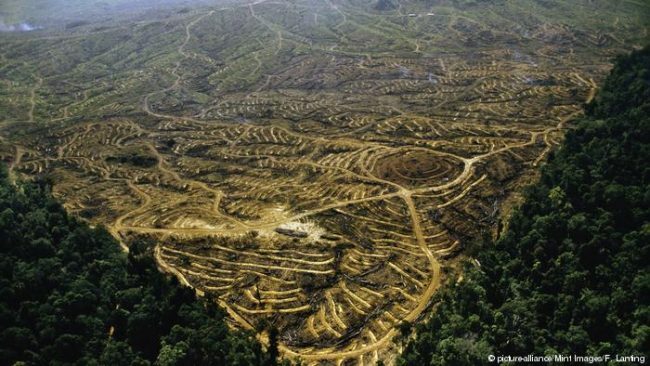 If we turn our backs on palm oil then it will need to be replaced by another oil. The implications of that is something that I’d not thought through before. 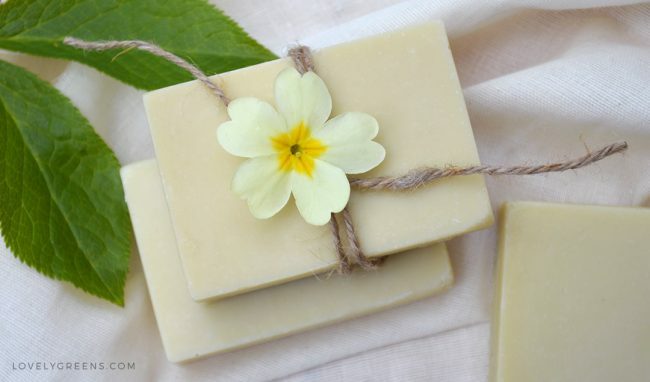 Many soap making recipes call for palm oil, even some of the older ones here on Lovely Greens (here are my palm-oil-FREE soap recipes). 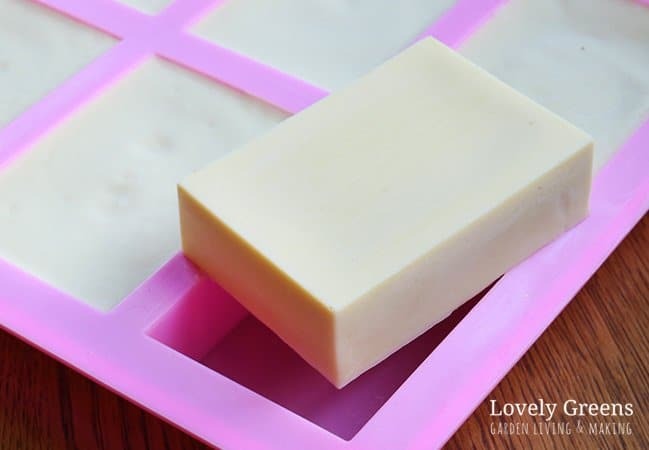 It creates good firm bars with decent lather and along with olive oil and coconut oil make excellent bars. It’s also really cheap to buy and easy to find. Most soap to this day has palm oil as an ingredient, usually labeled as Sodium palmate. However, a lot of soap makers are aware of its controversy and have switched to sustainable oil or have stopped using it completely. Sustainable palm oil is from plantations that voluntarily adhere to the standards set by the RSPO, otherwise known as the Roundtable on Sustainable Palm Oil. They include agreeing not to cut down virgin forests or to use slash and burn tactics. In the past I used sustainable palm in my own products but eventually stopped. After reading various articles I questioned how effective the RSPO is in ensuring that their members are complying with standards. Boycotting palm oil in soap making seemed to be the best option. Is avoiding palm oil the solution? The problem is that if we avoid its use other inexpensive oils will be sought out. Palm oil plantations produce four to ten times more oil per unit of land compared to any other type of oil. That means a switch to oils like soybean could dramatically increase deforestation. Here’s what the picture looks like right now. Losing our rain forests is bad news. Not only does it displace indigenous people and wildlife but without rain forests our future is bleak. They’re the lungs of the planet, creating 40% of the oxygen we need. 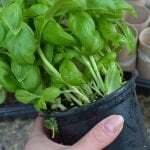 They’re also important in absorbing CO2 and in harboring plants important for human medicine. On the other hand, the demand for other oils — sunflower, corn, canola, rapeseed — will mean that much more land will be needed to grow it in temperate countries. That will put pressure on ecosystems and fresh water resources closer to home. The RSPO are also committed to both people and wildlife. Their standards mean that forest is left along water ways and can serve as wildlife corridors to wild areas on plantations. 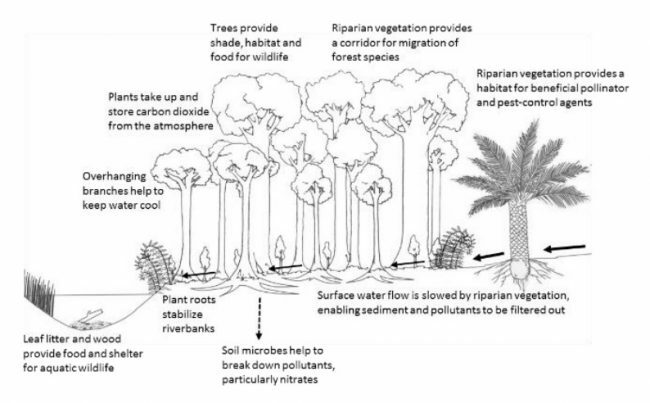 These Riperian Zones also help reduce soil erosion and water pollution. The RSPO also are supportive of people. Their members have to prove that indigenous communities aren’t displaced, laws aren’t being broken, and that workers are paid a fair wage. It’s clear that if we demand sustainable palm oil in our food and products, manufacturers will too. That will mean that more growers will join the RSPO. With more members, the organization would expand and have much more influence. It will eventually mean that having their certification will become a necessity rather than an option. That means more protection for the world’s natural places and less strain on land, water, and other resources. Bringing this back to soap making, the argument could be that all of us should be supporting sustainable palm oil. Even proactively supporting its use. Joining the palm oil boycott will not make the problem go away. It will just create new ones. What this means is down to the individual soap maker. Some of us will no doubt continue to make soap without palm oil. Others might switch to using sustainable palm. Others might actually decide that all their soap should have sustainable palm oil in order to support the RSPO. Some soap makers will continue using conventional palm oil, either out of ignorance, cost, or lack of understanding. While there are a lot of questions still, there’s one thing that’s certain. Whether we’re making soap as a hobby or as a business someone is eventually going to ask the question. 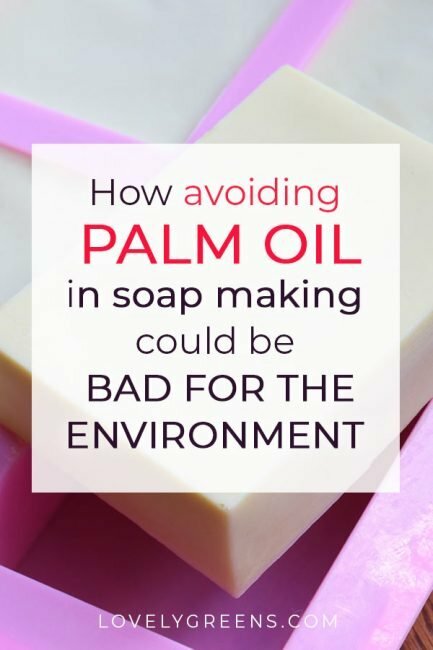 Do you use palm oil in soap making? How we answer and educate is up to us. Have an opinion about this piece? Please leave a comment down below. You can imagine what future means to me. Thank you very much, Tanya. 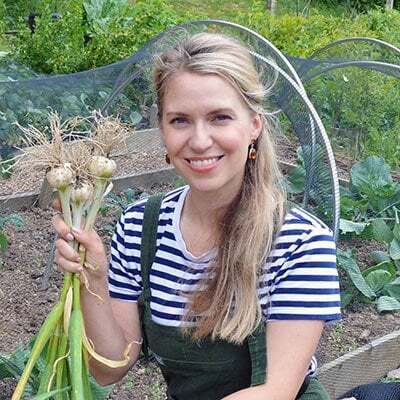 Tanya, thank you for you thought provoking piece and your painstaking research. I am new to soap making so I haven’t got into the habit of using palm oil without first thinking about the whole issue. I have, up to now, used only palm oil produced under the guidance of the RSPO, and, like you, have been considering avoiding palm oil completely. Palm oil is now, in so many ways, so entrenched in our everyday lives, I am thinking that it is now almost impossible to stop its use and production, and the best way to go is to do all we can to support the RSPO so that it may become more powerful and have a meaningful influence on habitat, wildlife, small family producers etc. I think if Iceland changed their policy to only selling products containing sustainable palm oil, the RSPO would get a much needed boost of publicity, and if other companies followed suit we could get to a situation where most palm oil production is sustainable and unless the producer stuck to the criteria laid down by an ever more powerful body such as the RSPO they wouldn’t easily be able to sell their product and we might be able to turn the juggernaut around just in time. Maybe. Also, thank you for your wonderful website ! Well said Roy — completely agree. I’m very much against using palm oil as its production contributes to loss of habitat for countless animal species so whether I’m making my own soaps or buying them I always choose palm oil free options. Same with food, I always go for palm oil free even if that means making something from scratch rather than buying ready made, heavily processed stuff. The palm oil dilemma is relevant to responsibility that people have as custodians of the natural environment. Their needs to be more dialogue. Hi I say that everyone stick to the RSPO line as it will help bring all the plantations into line with it thus benefitting nature and humans alike. 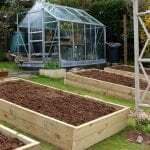 Plus it will continue to benefit the Indigenous people of the area with education in sustainable farming practices which will help improve their quality of life. The alternatives to Palm oil would certainly be a boon to farmers – especially at a time when many are being badly hurt by retribution by former markets by their markets in response to Trump’s tariffs. There’s just no way for the world to produce the amount of oil needed without creating more farm land. In other words, deforestation. I don’t know what to do about Biofuels though. They’re the biggest reason for the out of control expansion of palm oil plantations. Our society really needs to address that problem. The issue is that if we use other types of oil instead of palm then even MORE land will need to be slashed and burned to produce it. 4 to 10 times more land to be exact. By cutting the meat intake per head of population, there would be enough farmland for increased alternative oil production. Realistically stopping using palm oil whilst meeting the oil demand is a multistep process, freeing up land currently in production for livestock and shifting it, over to alternative oil production, coupled with electric powered vehicles there would be less need for bio fuels. Great thoughts and angles on your sire BTW. That is a really interesting article , I bet not many people will know what palm oil is used for myself included it is certainly an eye opener . It is only through people like yourself and education in it’s use that people will understand , hopefully in time it will sort itself out . Thank you for this article. I’ve changed from using ‘regular’ palm oil to sustainable palm oil while looking at palm free recipes. I really like the properties palm gives to my soap, so may have to keep using it now that you’ve armed me with the information about why I should continue using sustainable palm. Thank you so much. Interesting post and well done for writing it. I’ve come across the argument of less sustainable switches a few times, e.g. paper bags versus plastic ones, and i’m always surprised at peoples reluctance to consider avoiding the product completely. All the points you’ve raised about other sources of oil are true and worth considering but why aren’t we talking about changing our diets so that feed ourselves sustainably and I would suggest that if we can’t do that because of the sheer number of humans in total then we really need to consider whether we’d be better of engaging in some initiatives to discourage population growth. Having just placed my signature on the demand to reinstate icelands advert, I was horrified to read your article. I agree with your conclusions that sustainable production is the way to proceed. Next time I’m asked to sign a petition I will make the effort to see all sides of the situation. Thank you for alerting me to this .